The Public History Initiative supports community engagement and collaborative research with campus and community partners to stimulate, share, and make accessible historical practices, findings, and perspectives. PHI and NCHS collaborate with LAUSD and LA area schools to support history in the classroom. 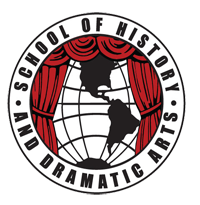 The School of History and Dramatic Arts (SoHDA) offers a unique curriculum focused on historical thinking and the dramatic arts. SoHDA is one of the pilot schools occupying the Sonia Sotomayor Learning Complex located at the juncture of the under-served communities of Glassell Park and Cypress Park in Northeast Los Angeles. Every year, students and faculty from UCLA serve as judges for SoHDA Community History Day, an event intended to prepare students for National History Day. After selecting a historical topic that relates to an annual theme, students conduct research gathering primary and secondary materials from libraries, databases, archives, and oral history interviews. They analyze and interpret their findings, draw conclusions about significance of their topic and create a final project (research paper, website, or poster display) to showcase their research and conclusions. Every quarter, the PHI promotes Why History Matter, a panel discussion with scholars, educators, politicians, international representatives, and local community members on the impact of history and historical education. 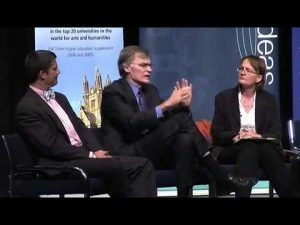 Topics address contemporary debates, policy, and the application of history. Recent topics discussed include: “The Past and Future of the Middle East,” (2017) “Mayors Past on the Present and Future of Los Angeles” (2017), “Historians and Others (Try To) Make Sense of the 2016 Election,” (2016), “L.A. 2024 and the Lessons of Olympics Past” (2015). Upcoming Event: Wednesday, October 11: Do Statues Matter? World History for Us All is a free online world history curriculum that offers educators and students a coherent conceptual framework for thinking about the human story from early times to the present. The curriculum has a unified chronology, organizing the human past into nine Big Eras, each of them encompassing changes around the globe. The curriculum includes teaching units, lesson plans, and resources intended to help teachers meet state and national standards. World History for Ua All draws on the burgeoning field of academic research focusing on history from cross-cultural, comparative, and global perspectives. This innovative program is premised on the idea that humankind as a whole has a history to be explored and that classroom world history suitable for the twenty-first century must pay attention to large-scale changes and cross-cultural linkages, not just to the achievements and contributions of different civilizations. It was inspired by cognitive research showing that students achieve greater competence in history when they are guided to relate particular facts and stories to bigger patterns of historical meaning. As a result, World History for Us All is organized to help teachers and students put the histories of civilizations in the context of larger interregional or global developments. 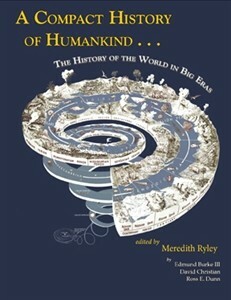 Two companion print publications, Compact History of Humankind (grades 5-10) and World History: The Big Eras (grades 11-college), support and extend the online materials. Working people and their allies transformed the political culture of southern California over the past 40 years. Defying the drift toward anti-immigrant and anti-union resentment common across the U.S., southern California is home to a diverse populace and relatively progressive political culture with the labor movement playing a key role. Organizing the Southland documents the transformation of labor unions in Los Angeles since 1980, and their role in the region’s contemporary political economy. Partnering with the UCLA Labor Center, the Library’s Department of Special Collections, and local labor unions, the project develops archival collections, gathers oral histories, and produces digital media publications. 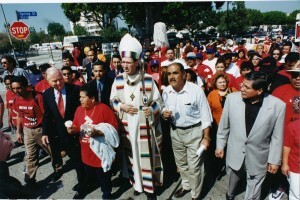 Principal Investigators: Toby Higbie (History), Gaspar Rivera Salgado (Labor Center). Community Partners: United Service Workers West (SEIU), Los Angeles Alliance for a New Economy (LAANE), UNITE-HERE Local 11. Campus Partners: History Department, Institute for Research on Labor and Employment, Labor Center, Library Special Collections. UNITE-HERE Local 11 Records (in processing). 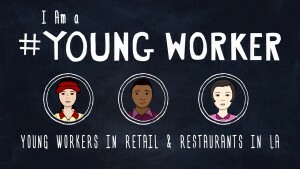 With the support of the Lemelson Foundation and the UCLA Division of Social Sciences, the project team will create an animated video that will publicize the findings of the Los Angeles Young Worker Survey. Compiled by the UCLA Labor Center, the survey highlights challenges young workers (ages 18-29) face, such as low wages, wage theft, and irregular work schedules. The animated video will translate the findings of the survey in terms that are broadly understandable, and place them within the context of the history of youth employment and organizing. Team Members: Janna Shadduck-Hernández (UCLA Labor Center), Saba Waheed (UCLA Labor Center), Preeti Sharma (UCLA Gender Studies), Tobias Higbie (UCLA History Department). Learn more about the research project at the I am a #YoungWorker website and Facebook page, or view the video on YouTube. We are also working on a Spanish language version of the video, and curricular materials. Focusing on a series of objects featured in the Autry National Center’s exhibit, “Empire and Liberty: The Civil War and the West,” this seminar explored important connections between western expansion and the Civil War era, two overlapping subjects that are often separated in history textbooks and in our thinking about the American past. 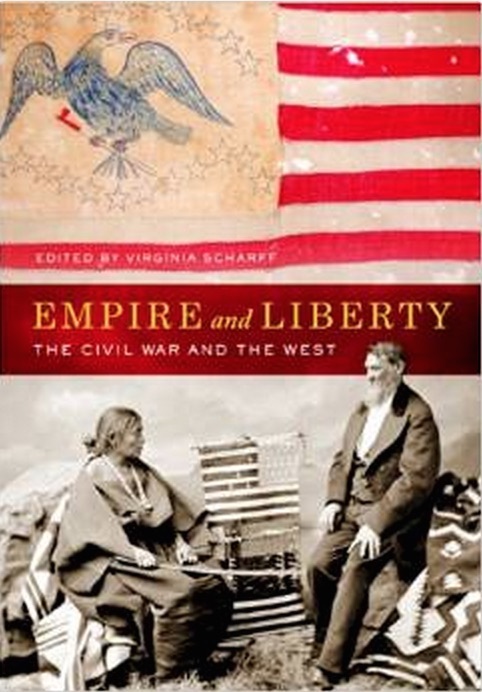 Teaching the Civil War and the American West located the Civil War in a history of conflict over how the American nation would expand, and who, within that expanding nation, might claim freedom, property, and citizenship. The program was offered in partnership with the UCLA History Geography Project and the Huntington-USC Institute for California and the West. In 2014 and 2015, NCHS and PHI hosted Avi, the Newbery Award-winning author of historical fiction for young readers. 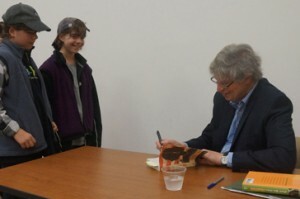 The author of Crispin: The Cross of Lead and The True Confessions of Charlotte Doyle, among many others, Avi gave presentations to students at Emerson Middle School in Westwood, led a teacher workshop in Baldwin Park, and delivered a public lecture in UCLA’s Royce Hall. 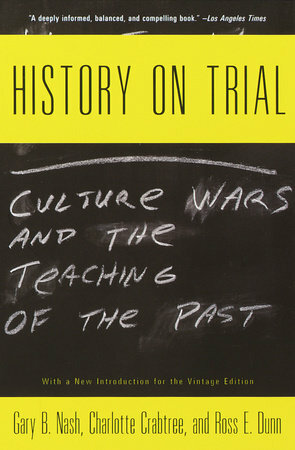 The 1994 National History Standards developed by UCLA’s National Center for History in the School set off a firestorm of protest that put history education at the center of the so-called “Culture Wars.” The PHI/NCHS serves as an archive and essential resources for the study of this controversy.